Engine oil is a vital component in your engine. It lubricates movable car parts. The moment you notice the low oil pressure coming on stop your car immediately and have it checked. You may first need to check your oil level. Wait until the car cools down and remove the oil dipstick. Clean it with a soft cloth and put it back in. This should give you a clue as to the oil level. What are potential causes for oil pressure turning on? Low oil pressure can be caused by an internal oil leak or an external. Internal oil leaks mean that the oil is leaking inside the engine and you can’t see it without taking the engine apart. This is a pretty rare scenario. External oil leaks can also cause the oil level to get low and in result, lighten up the oil pressure light. You can check the following for wear and leaks – oil pan, front and rear crankshaft oil seals, valve cover or gaskets. If you are experiencing leaks in any of the above then you need to have them fixed first before moving on. You can continue checking your oil dipstick for every few mileages done for further leaks. The oil pump is vital in pressurizing oil. This enables the oil to move into all the engine movable parts with ease. If the oil pump is faulty there is a decrease in pressure and your movable parts will generate excessive heat through friction. If the problem is not solved immediately, further friction will cause permanent damage to engine parts. You can test oil pressure using a pressure gauge. If your oil pump is in good condition you should have readings of 10 psi for 1000 of rpm. Inside the engine, there is often a lot of metal shavings, carbon deposits, and other debris. The oil filter plays a vital role in filtering all these contaminants and preventing them from reaching the engine. During regular engine service, the mechanic will replace the oil filter. However, if you fail to do this it gets contaminated causing low oil pressure. Most of the engine oil is stored in the oil pan. The oil pump will pressurize the oil enabling it to circulate to the engine and subsequent movable parts. Once oil leaves the pump it is filtered through the oil filter. This removes most of the impurities. Next, the oil will flow through the crankshaft and bearings in the car. However, if there is impurities blockage in the crankshaft the oil will lose pressure hence the light coming on. If you have an old car then you will experience low oil pressure issues. The case is more common when you do not have an oil change during your next service change. This leads to a sludge like substance forming at the bottom of the oil pan. This reduces the oil pressure. In these instances, even when you change your oil you will still notice the oil pressure light on. If you have refilled your engine oil with a new one but the light is still on, the culprit could be the engine pressure sensor. The sensor is connected through a circuit from the engine to the dashboard. With time the sensors get filled with dirt and this reduces their ability to detect low oil pressure effectively. When this happens you need to replace your sensors. Oil is needed to keep the crankshaft, cam bearings, and other moving parts operating optimally. When these components wear out oil starts leaking through the openings created. This oil contributes to the reduction of oil pressure. There are some easy and some more difficult ways to fix a low oil pressure light. If an easy solution doesn’t work, an engine with low oil pressure can get very expensive. If your oil level is low, you might get low oil pressure. Always make sure that your oil level in your engine is correct and check it at least one-two times a month. Check the oil pressure with another gauge to make sure that it’s just the sensor that is sending the wrong information. There could also be a broken wire so make sure to check for this if you oil pressure is correct. You need to be extremely careful with the type of oil that you purchase. Oil with high viscosity will not work well with your engine. When refilling your engine oil ensure that you do not overfill it. Viscosity relates to the thickness of the oil. Those with higher viscosity are less effective as they do not efficiently flow through all the engine parts. Oil with a high viscosity does not allow the oil pressure to rise sufficiently. 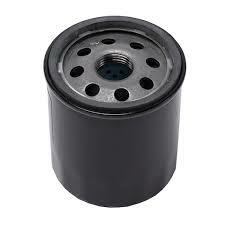 To maintain oil viscosity ensure that you change your oil filter regularly. Changing the oil pump and filter is not a big mechanical problem. You can do this within minutes. The oil pump is located right next to the oil pan. To replace it first remove the oil pan. In other engines, you will find the oil pump located inside the timing cover. You will be required to raise the car to remove the oil pump. 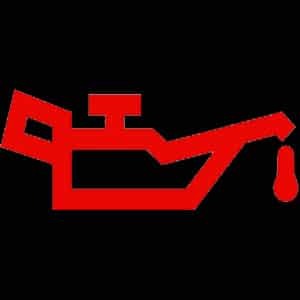 Not taking immediate action when you have low oil pressure will lead to further engine trouble. Oil is used to lubricate your bearings and all movable engine parts. The crankshaft does not have any contact with any other metal due to the presence of oil. When you have low oil pressure you have an increase in friction. This causes your engine to start overheating. Eventually, some of the engine movable parts will get destroyed causing you to spend more in repairs. Oil is vital to keep all the movable parts in the engine like the cam bearings and crankshaft moving. When you have low oil levels in the car you will notice the low oil pressure light coming on. You should not continue driving your car the moment you notice this as it will cause further engine trouble. Low oil pressure is caused by several factors. You need to first check your oil dipstick for oil levels. If it is low add some more oil. If the light still turns on then it could be that your oil pump or filters are contaminated. This need to be changed during your next service check. Always ensure you have the right engine oil. Oil with a higher viscosity will cause the oil pressure gauge to shoot up. If all this fails then the problem could be with the oil sensors or gauge. This often get clogged with dirt and you will need to change them. 10w30 vs 10w40 Engine Oil - What's the difference?